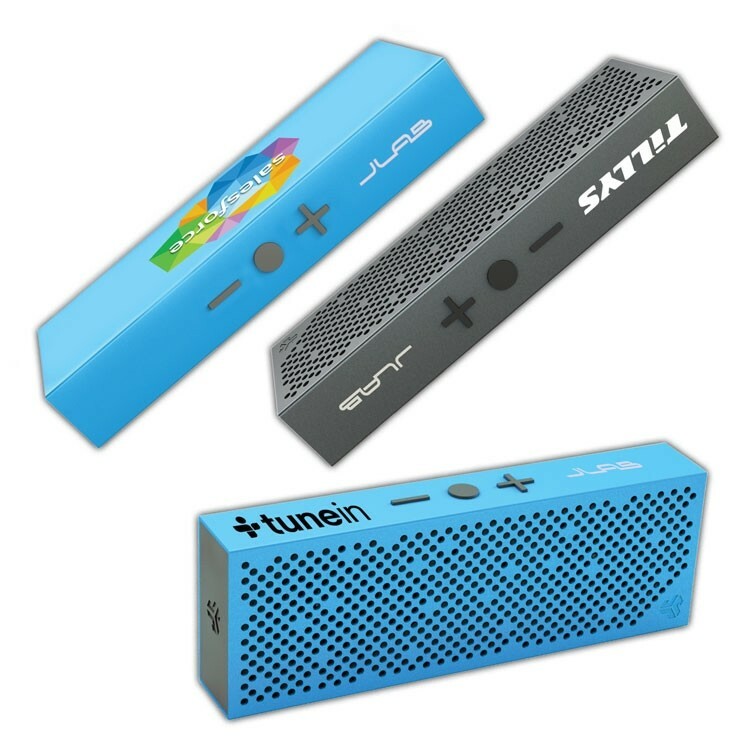 Bluetooth speaker is made of alloy. 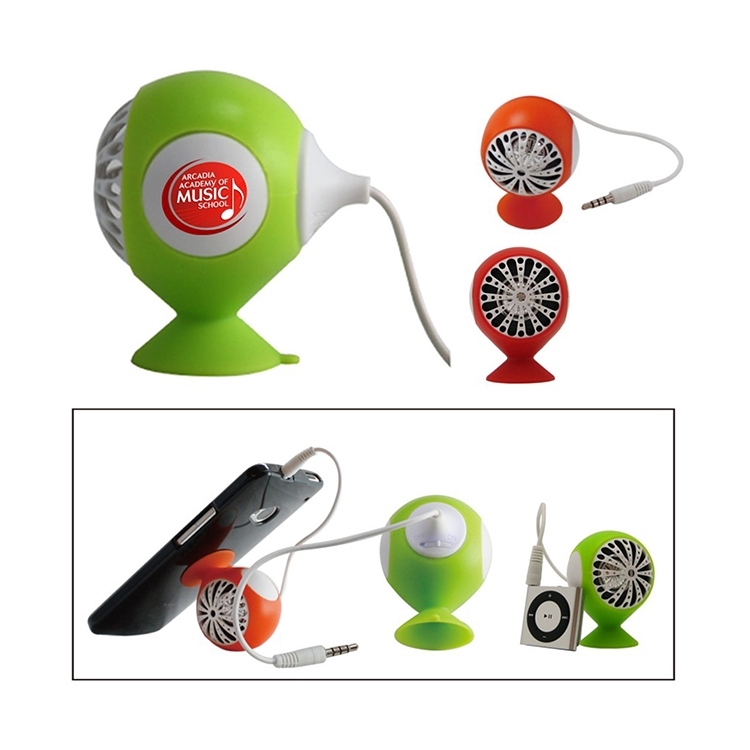 It can connect your phone wireless, there is a built-in microphone in it so you can listen and speak without your phone. 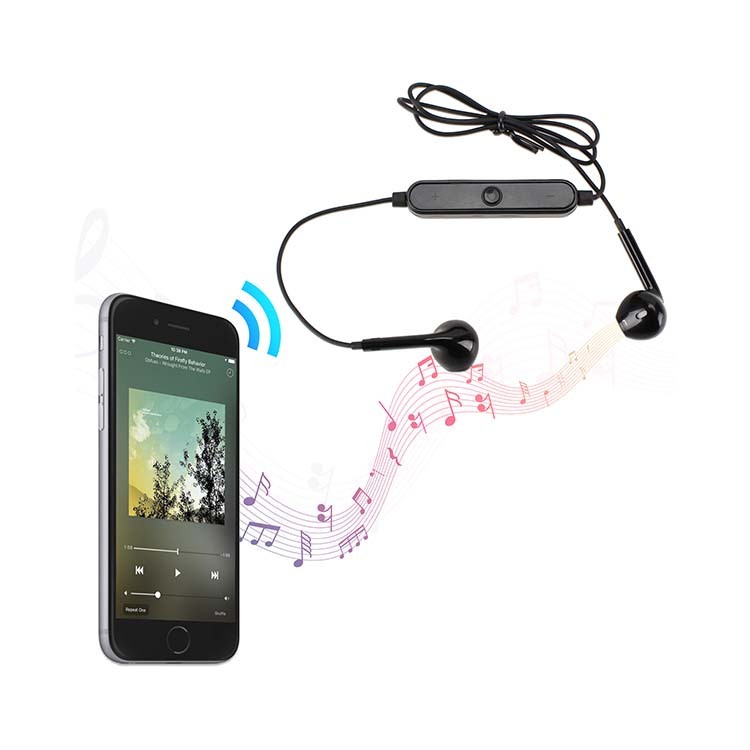 Supports TF card for playback from built-in MP3 player, enjoy wireless music anywhere, anytime. 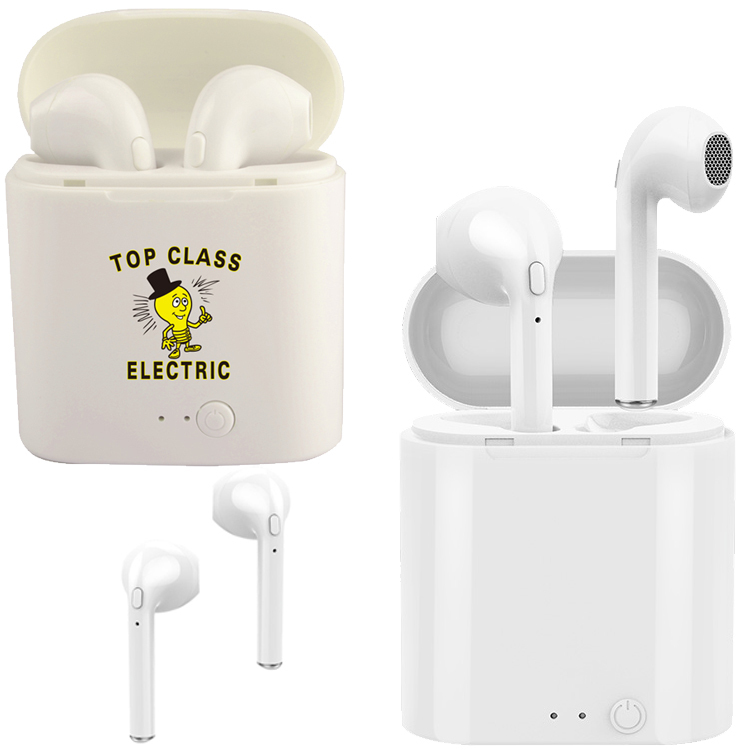 Exquisite appearance.Simple and fashionable.Long Playtime, Fast Recharge; Built-in rechargeable 250mAh battery, supports up to 2-4 hours playing time with a single charge. 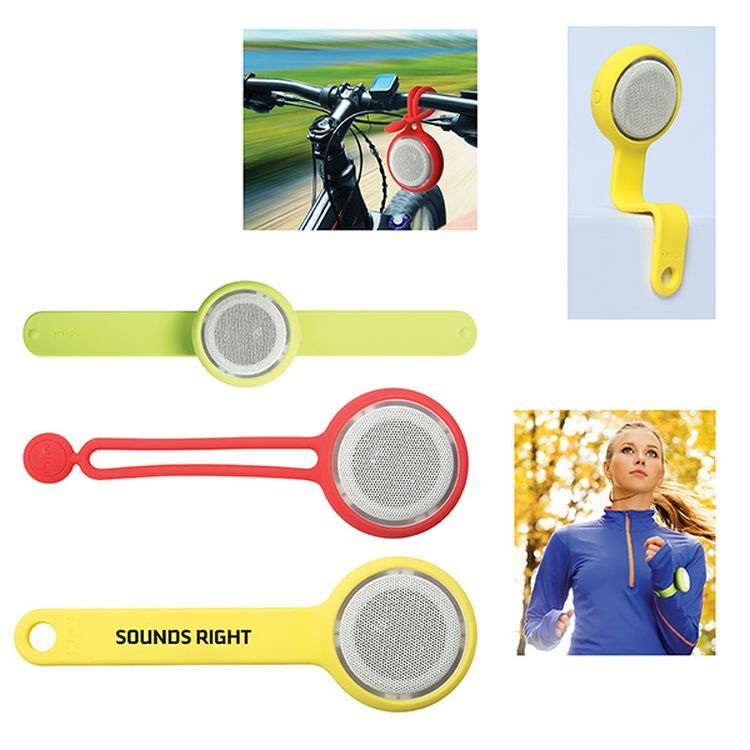 The ones with bluetooth technology are also available. 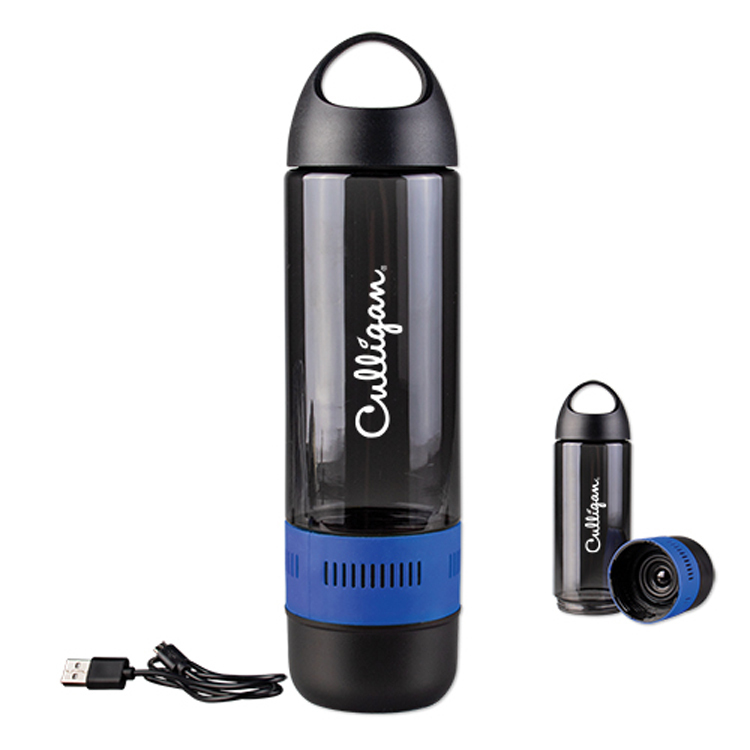 Water bottle has blue tooth speaker on the bottom. Remove speaker before washing. Water bottle comes with gift box and is BPA free. 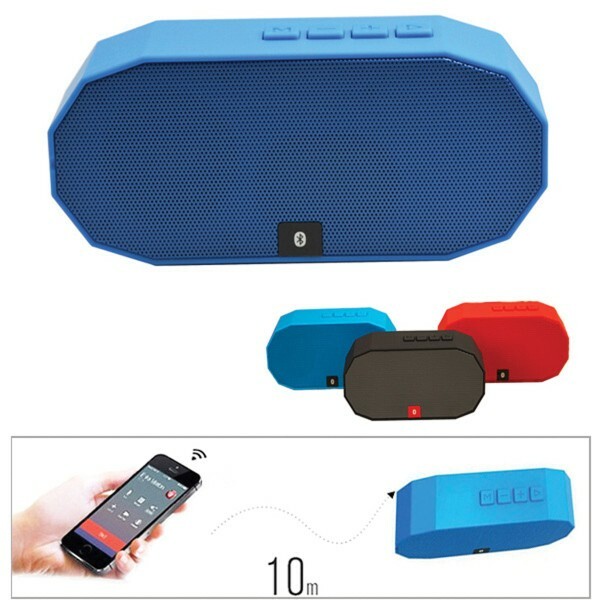 Universal wireless waterproof bluetooth speaker. 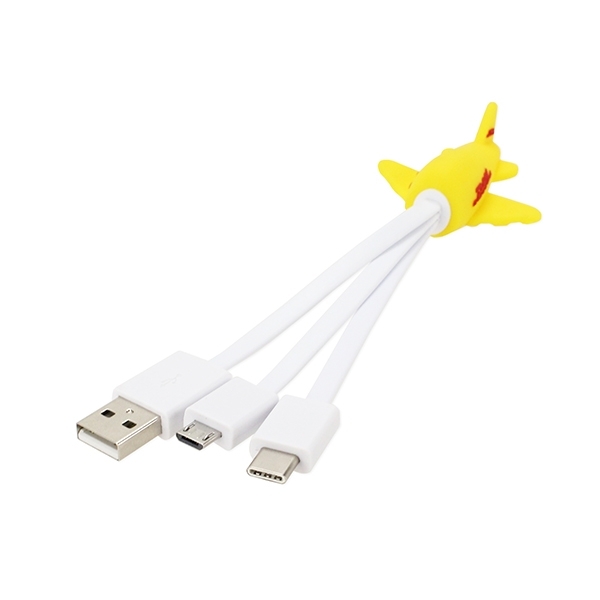 Made from durable plastic with silicone cover. 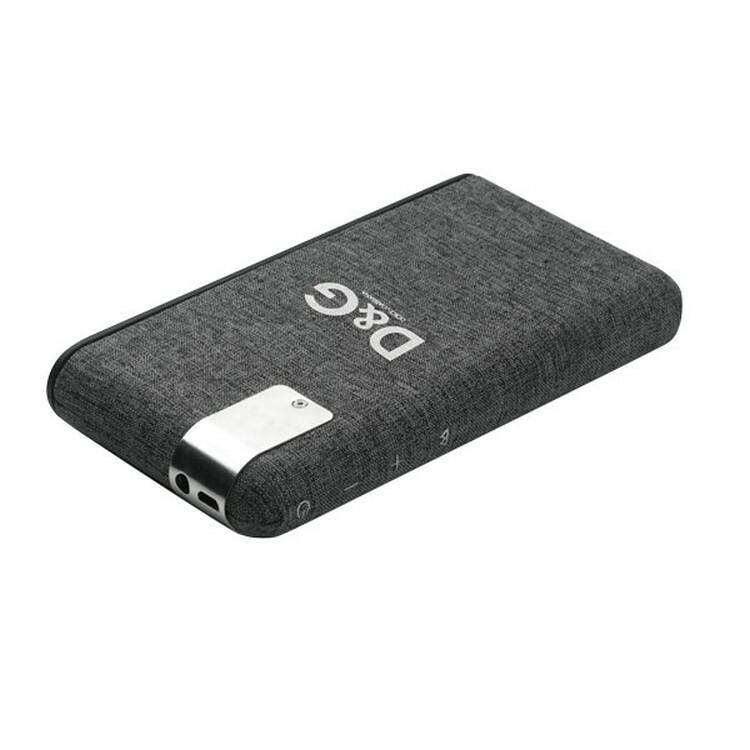 Features built in rechargeable battery, allows to enjoy your music for 3-5 hours. Built-in microphone, allows for hands free calling. 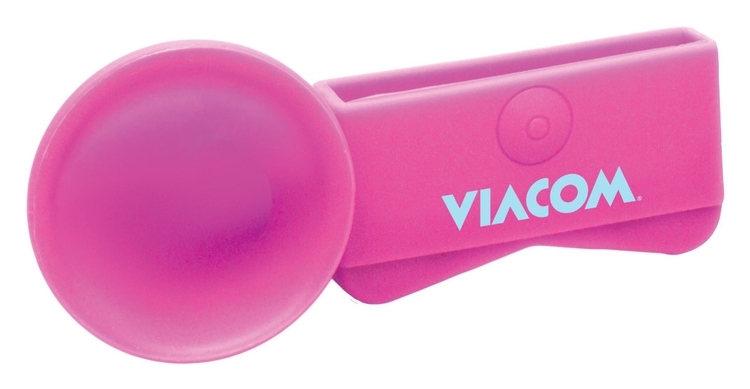 With powerful suction cup attached, which helps to stick on any flat surface.  Price over 2,500 pieces is shipping by sea. 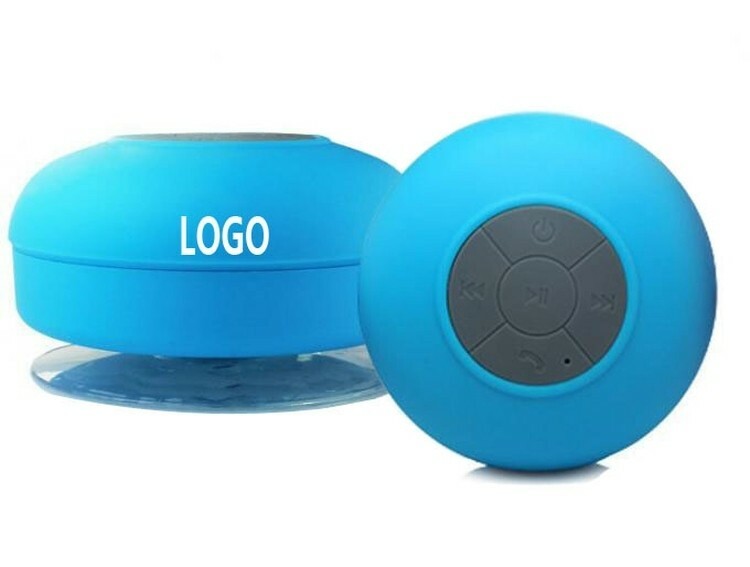 Portable Mini Bluetooth Speaker with a built-in Selfie Shutter Button - great for listening to music and taking photos the fun way! 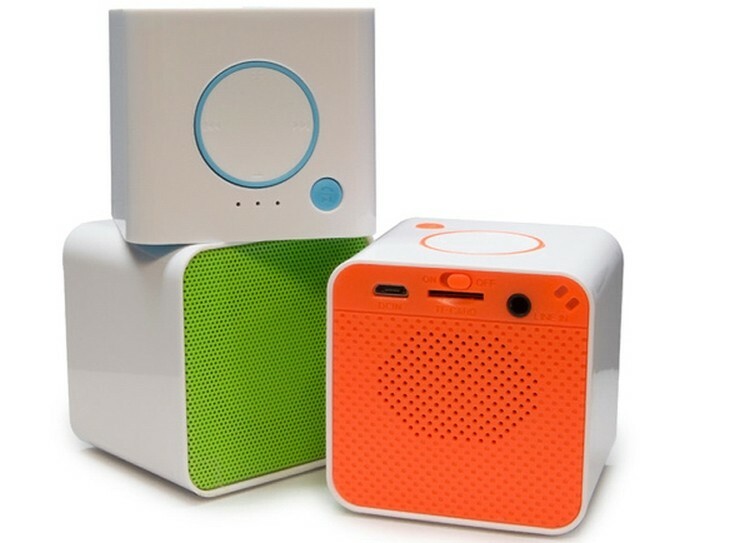 Pair the Mini Bluetooth Speaker with your Smartphone or tablet and stream music and movies while snapping selfies. The remote shutter release makes it easy to take selfies or group shots and upload them straight to your favorite social media sites. Snap pictures without needing to focus on the camera activation button at arm's length. 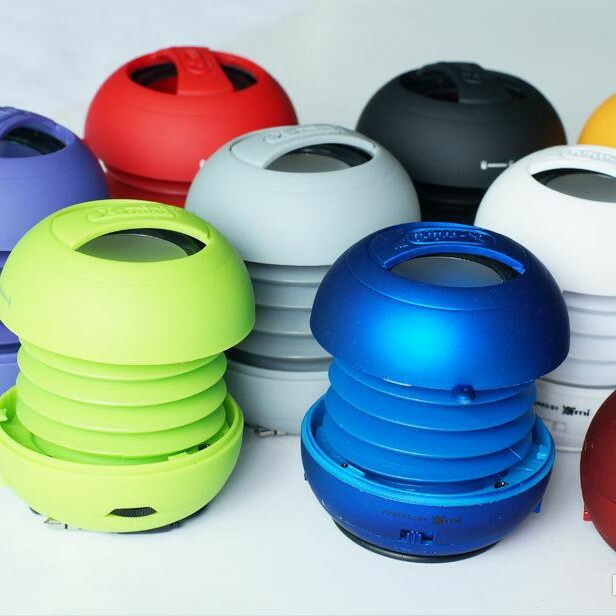 The mini megaphone speaker made of silicone can increase the original volume. 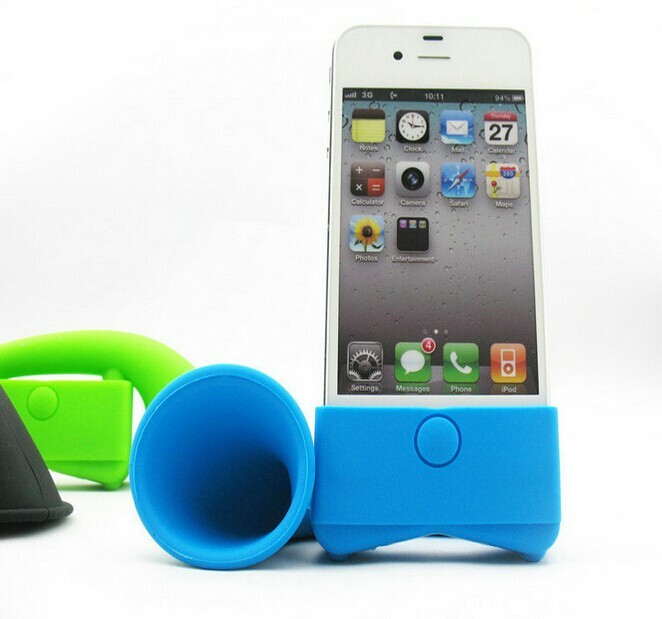 This 2-in-1 iPhone 5 accessory acts as a phone stand and amplification speaker. 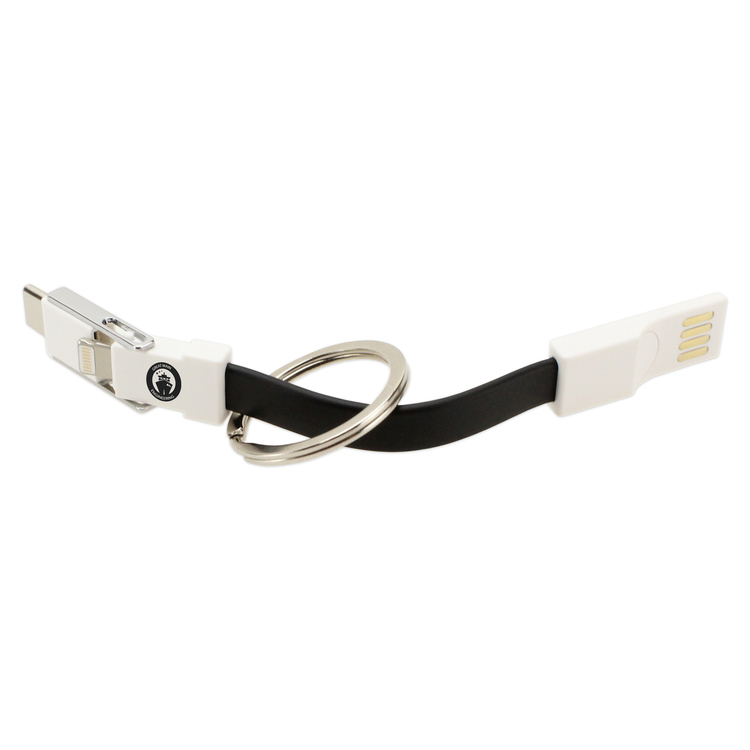 It also features a cut out in the bottom for easy cable address (for charging or synching) while your iPhone is cradled on its side. 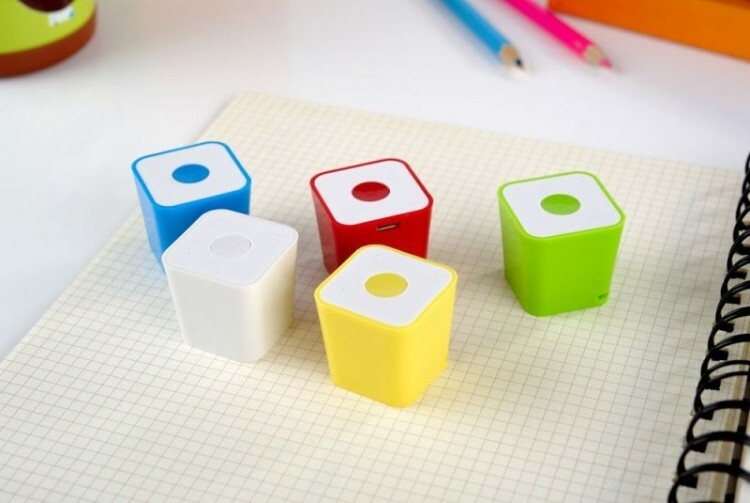 It's wireless, self standing, scratch resistant and easy to clean. 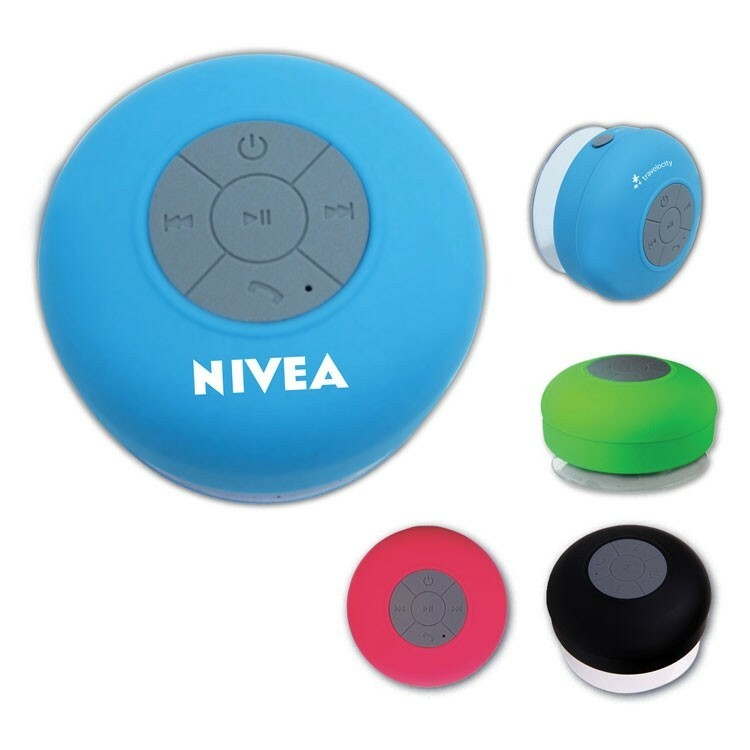 It boosts sound without any electrical power. Various colors are available. Price base on 1 color 1 side 1 location with screen printed. 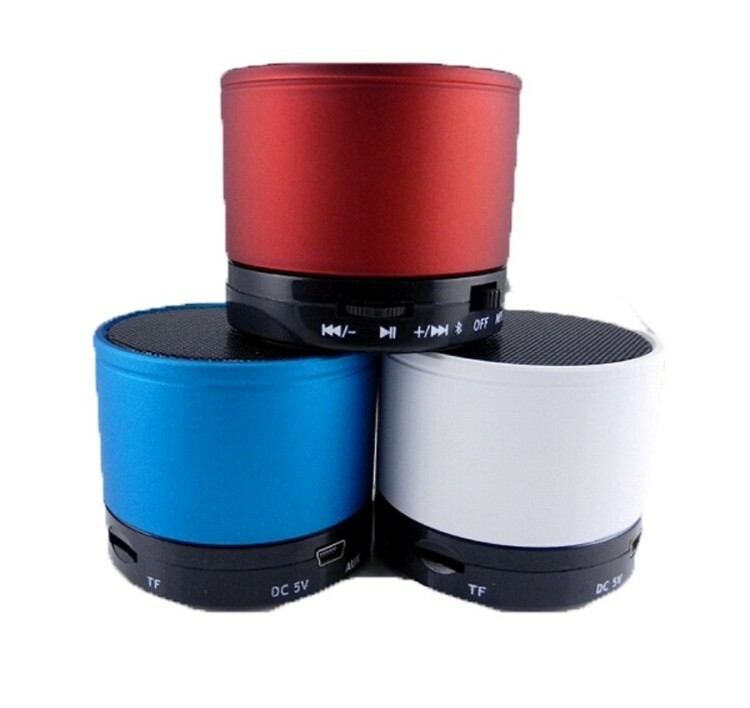 Hamburger MP3 player has an ideal portable and speaker systems with unique design. 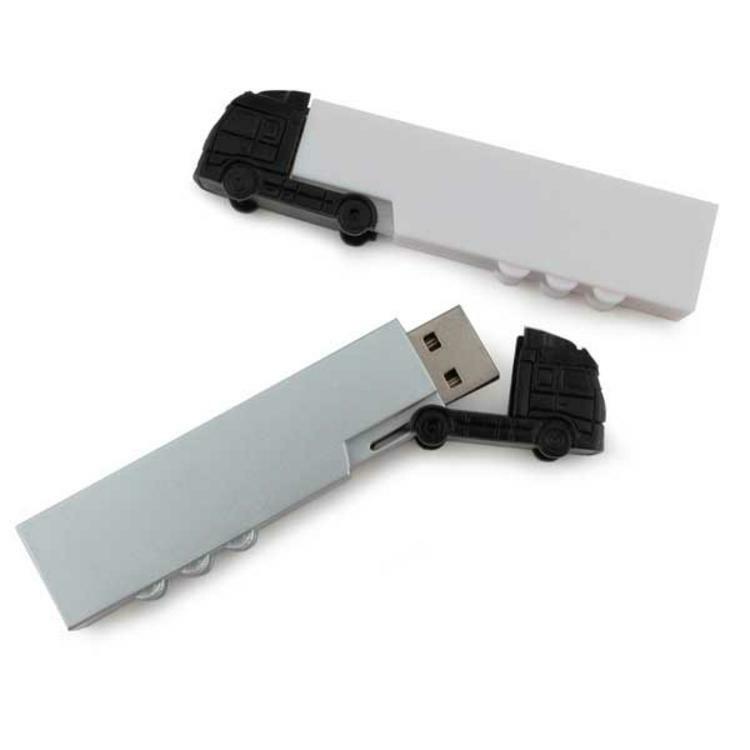 Play with MP3 music files in the TF card and USB. 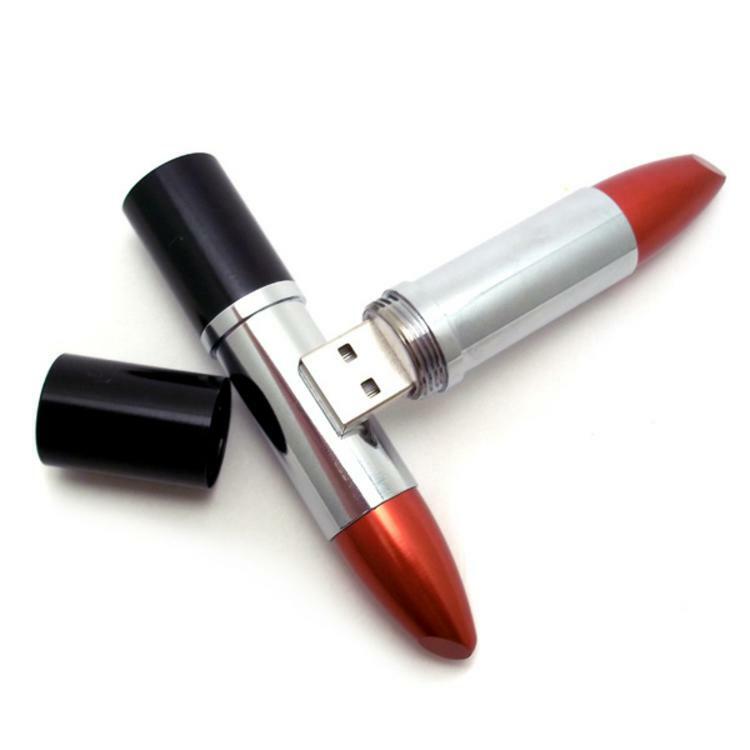 With built in rechargeable lithium battery, no extra battery operated. You can silkscreen the logo on it. 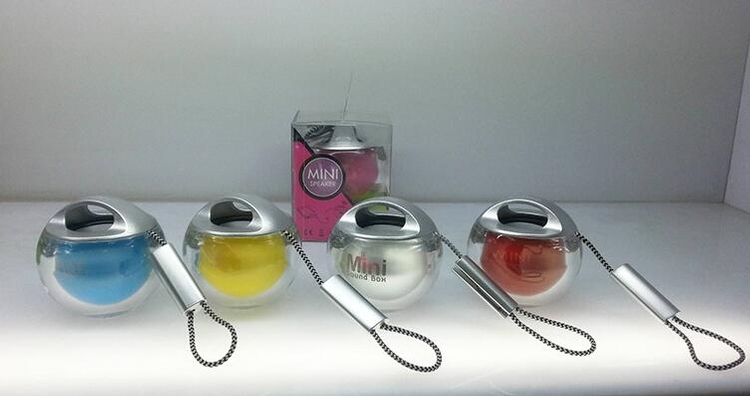 Mini sucker holder speaker with 2-inch Hi-Fi full ranges speaker. Inside rechargeable Li-on battery supporting 3 hours' music playback. 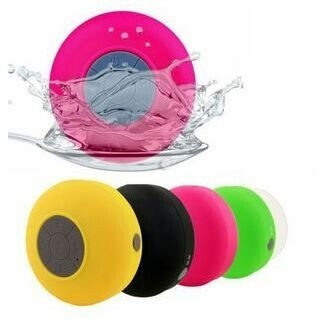 Waterproof function based on silicone material can be used even in the bathroom. Also doubles as a cellphone stand. 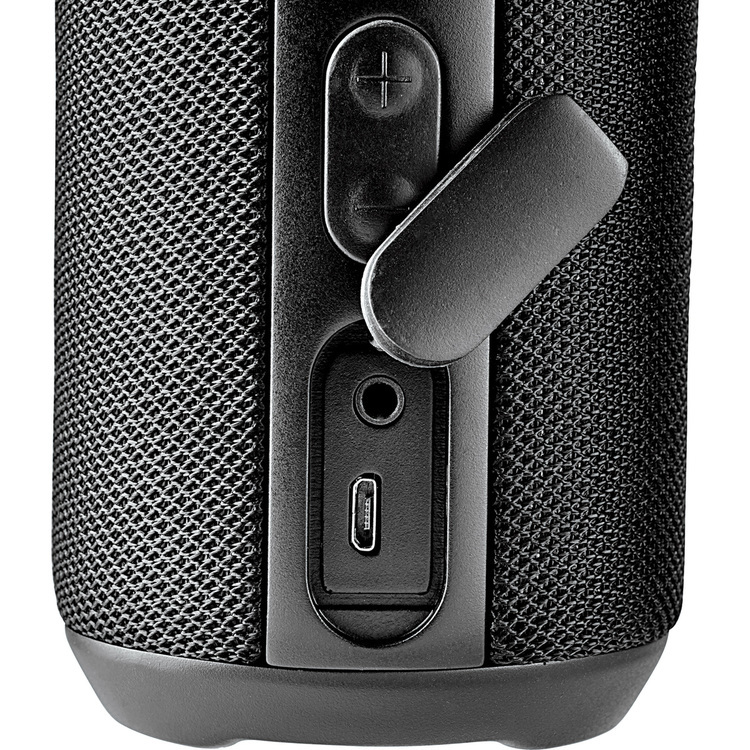 The new Rugged BT Speaker is designed for the outdoors. 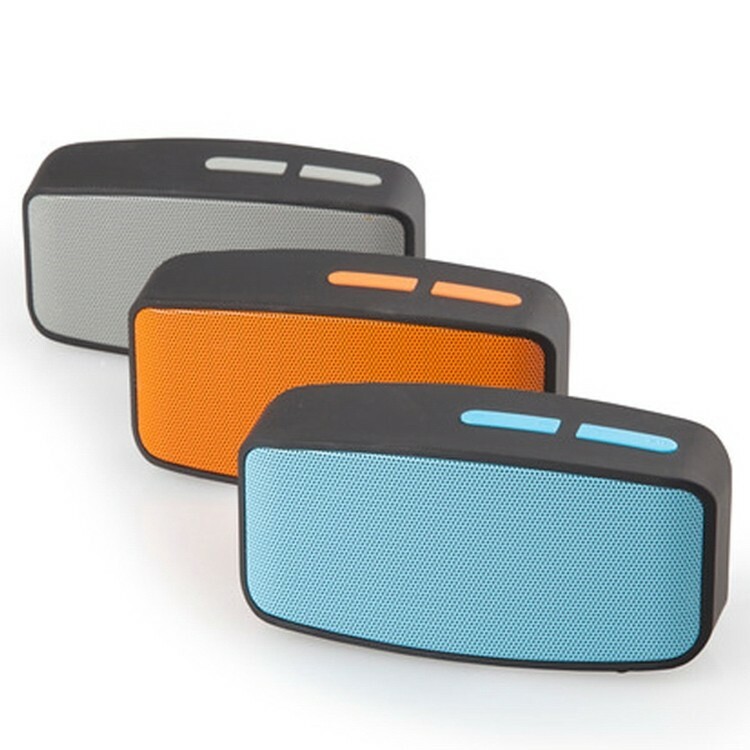 Sporting a waterproof design, you can literally take this speaker anywhere you go. There is a light display around the speaker itself that bets to the tune of the music. 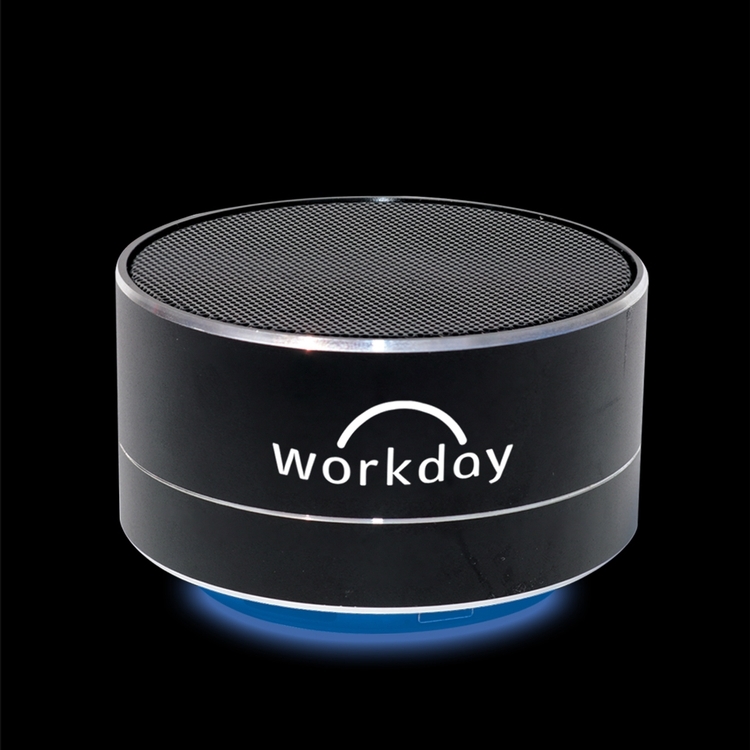 The sound quality form this speaker is astounding, and you will not be disappointed. 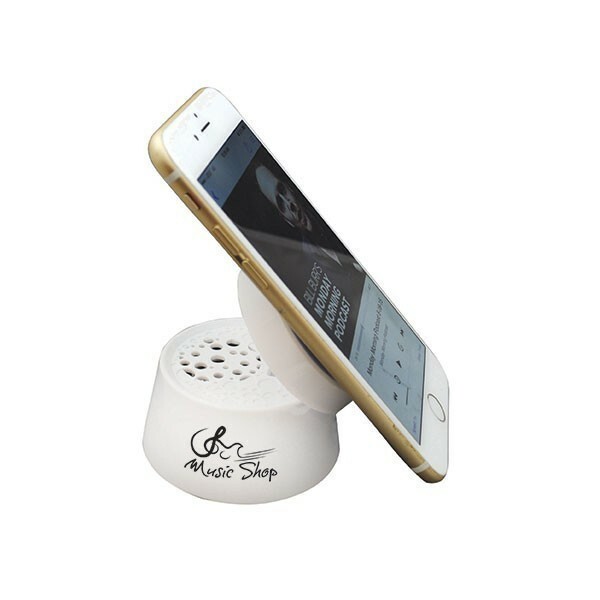 There are several different mounts and accessories that come with this speaker to truly let you take your music on the go. 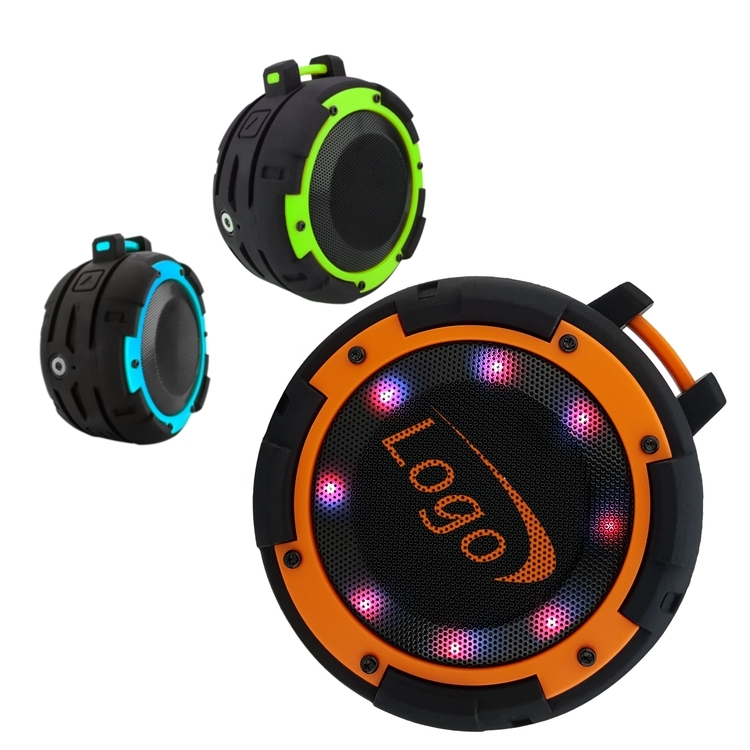 You can also have your logo imprinted at the top and bottom of the front of the speaker on the colored trim, or you can have your logo imprinted across the middle of the speaker itself. Available in Black with a Blue, Green, or Orange trim. 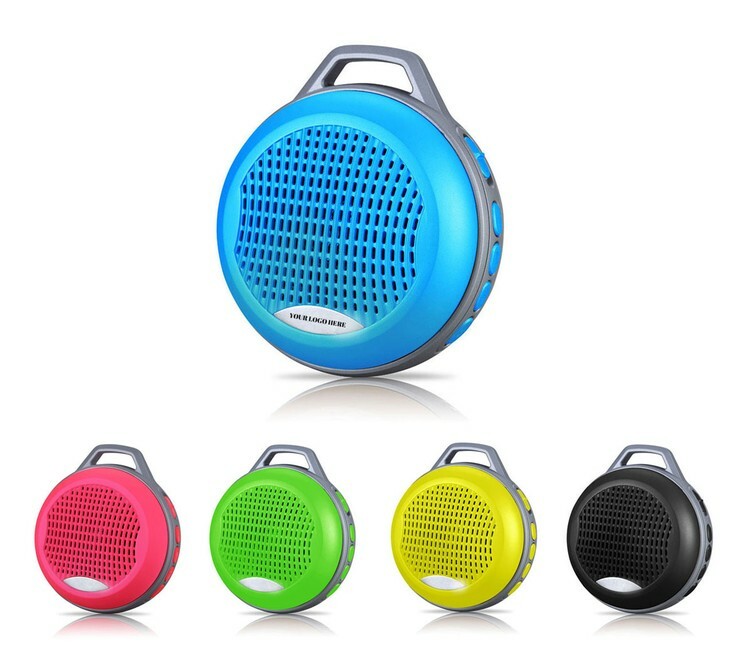 Speaker is water-resistant, making it ideal for a trip to the beach or a day at the pool. Features a modern design is sure to go with your decoration and personal style. Available in a variety of fun colors. 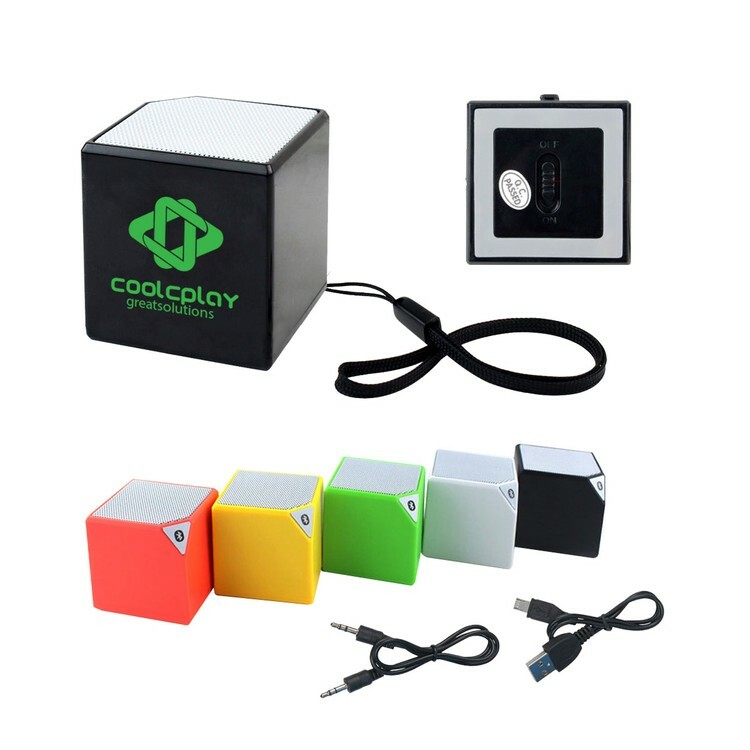 Silicone rubber finish, ABS body, rechargeable, 3W output, 5V input, includes USB charging cable.